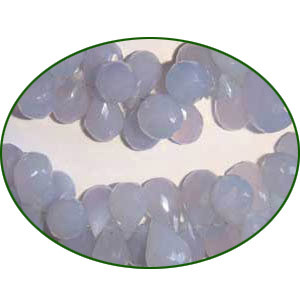 Fine Quality Chalcedony Natural Faceted Drops, size: 11mm to 16mm semi precious gemstone beads to make fine jewelry, length of string 14 inch. Cotton woven mesh-crochet beads, size 1 inch. Silver Plated Toggle Clasps, size when expanded: 25x20x4mm, weight: 2.57 grams. Copper Metal Cones, size: 21x12mm, weight: 1.89 grams. Sterling Silver .925 Fancy Beads, size: 13.5x14mm, weight: 3.16 grams.